This part is a new, reproduction C4 to C5 Chrome 17×9.5 Wheel (C4 ZR-1 Style) which can be installed on a 1988 to 2004 Corvette. 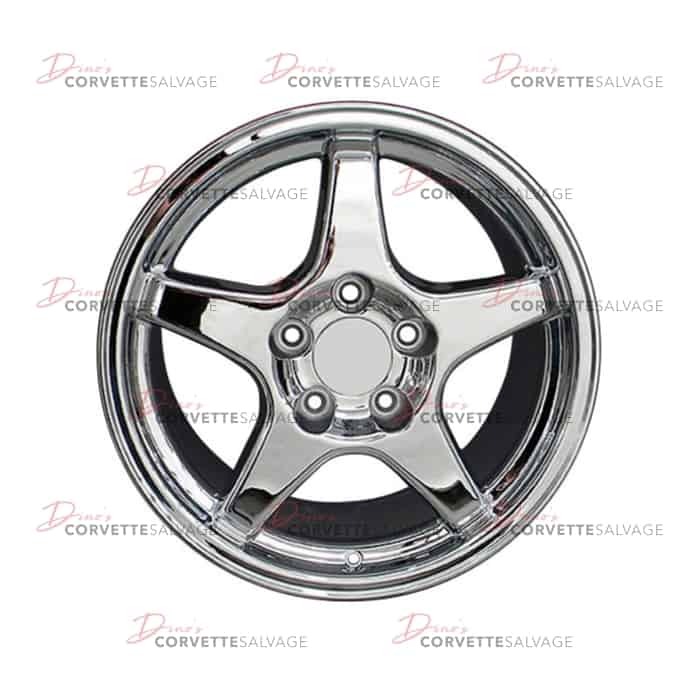 Triple plated chrome processing is the method used to produce a high quality chrome wheel. The correct process lies within the preparation of the wheel prior to the plating. The first layer of plating is copper, which adheres to the wheel and creates a smooth foundation. The second layer is nickel, which provides the hardness or durability to the finish. The final layer is chrome, which creates the cosmetic finish. Just as important as this process is how long the wheel is left in the plating tank and how often the plating solution is replaced.